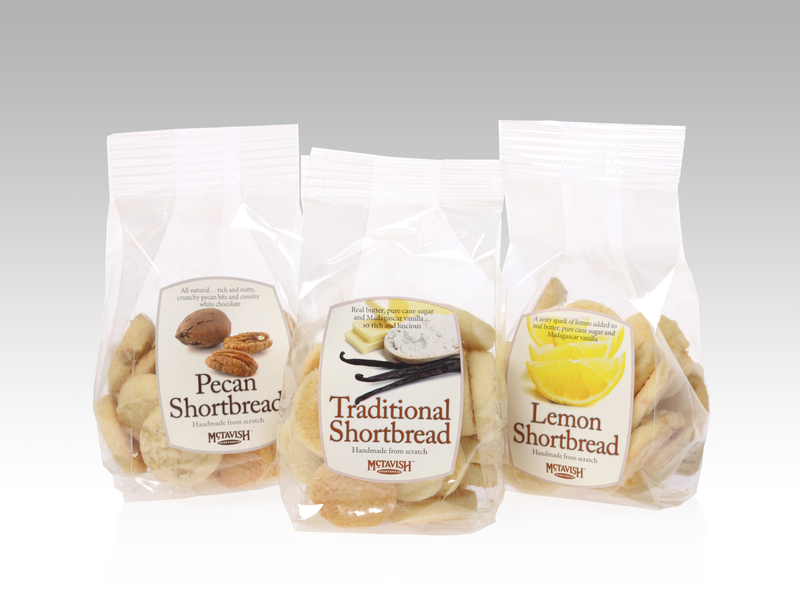 A great package design stands out on the shelf and compels a customer to reach for it. But when flavorful messages are added, the product often lands in the cart. Packaging, after all, is an essential point of choice. What happens when a consumer strolling down the grocery aisle sees a package, and thinks “that looks good”? Curiosity will have them pick up the package to learn more. If the package design is attractive, but only provides nutritional information, basic ingredients and a blurb about the company … is that enough for that consumer to drop the product into her grocery cart? Maybe. And maybe not. People care about the food they buy. They want to know where it comes from and how it’s made. In fact, a study shared by Adweek revealed 76% of consumers check ingredients and 51% look for place of origin on packaging today. Clearly, people are spending more time reading a package before choosing to buy. That’s an opportunity. A big one. 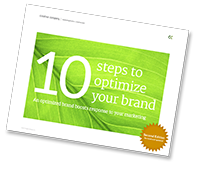 After all, your customer is looking for the product story, how to, easy prep instructions and serving ideas. Also for source information … where did the ingredients come from? How were they grown? Who’s behind this product? What are the flavorful messages that entice, entertain, inform, educate and tickle the tastebuds? A package with a statement, story and enticing image. 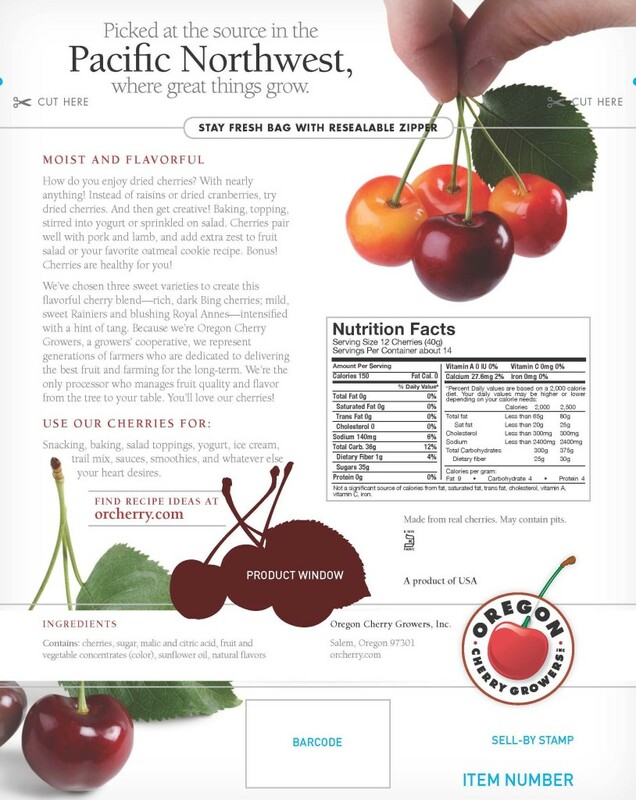 Designed for Oregon Cherry Growers but not produced. We live and work in Oregon, a state known for high quality food products. Marion County, Oregon is the most diverse agricultural county in the United States. From gooseberries to wheat, peas to corn to apples, green beans, peaches, cherries, hazelnuts and even more … it probably grows here. 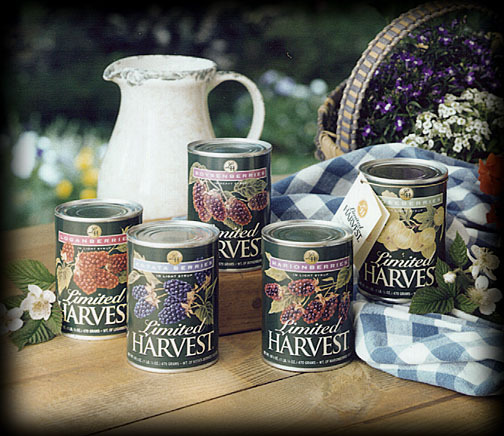 In fact, in the 1950’s the Salem area replaced San Jose, California, as the largest canning region in the world. 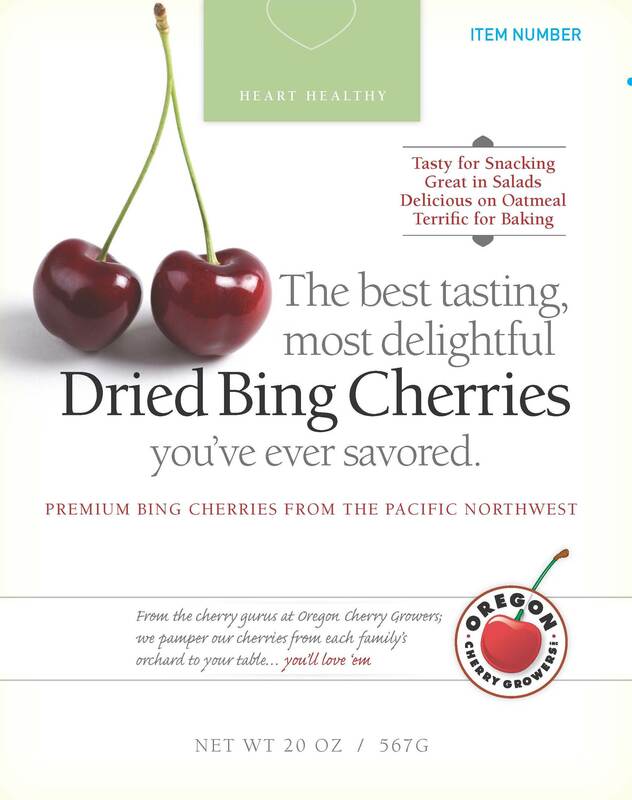 Oregon Cherry Growers, a co-op of Oregon growers, is one of the largest producers of maraschino cherries in the world … and the modern maraschino was invented in Oregon! As a result, Oregon’s food products have an appealing and authentic message. Whether we’re talking about the Marionberries that go into amazing frozen pies; or maraschinos from Oregon Cherry Growers; or frozen vegetables and vegetable blends sold under the FLAV R PAC brand by NORPAC Foods, they stand on their Oregon source, rich Oregon soil, dedicated generations of Oregon farmers and an international reputation for flavor and quality. If food comes from Oregon people expect great taste. Yet they want to know more. That’s why on our creative packaging, we’ve romanced the berries, waxed poetic about the soft, moist climate and rich Willamette Valley soil, or lovingly described each extraordinary taste. To surprise and delight consumers, we’ve even gotten creative with “standard” preparation instructions. Oregon Fruit Products, founded in the 1920s, sells amazing canned fruit (and other things now, too). They told us how people would stand in the grocery aisles reading the whimsical and nonsensical blurbs the founder used to write for the labels. They even received fan mail for their labels and stories! When we worked with them in the ’90s, we put the stories back on the labels. We updated the labels with beautiful illustrations instead of standard photos. We repositioned the company as the “Friendly Family Fruit Company.” And we developed a free consumer booklet–“Friendly Family Fruit Fables”–with more stories and recipes. It was extremely popular! That creative packaging design continues to draw buyers around the country and in Asia. Whether a quick treat or tonight’s dinner, “glance and grab” food packaging design rings up sales. Today it’s more than a creative package design that grabs a shopper … it’s the authentic story, the flavorful message. The idea of where and how something’s grown, the families behind it, the heritage of the region, the soil and the climate are elements. All of the rich descriptions that engross wine fanatics (think terroir) will also absorb today’s consumer. Add in plenty of ideas for serving, and you’re giving people even more reasons to buy. We’re proud of Oregon’s heritage of growing good things and the region’s reputation for outstanding food and wine. And we’re thrilled to tell people all about it. Yet there are many growers and processors content with the basics–the list of ingredients, a few serving suggestions, and the company name and address. Give your audiences more reasons to love what you do! We challenge you! Delight and entertain your consumer! Turn them into raving fans! Everyone has a story to tell … Make it your own! You’ll discover a whole new way to connect with more people. You’ll encourage them to spread the word, share the story and buy again. If you need a bit of help uncovering your unique story and creating flavorful messages that get people drooling, talk to us! We’re a marketing company who loves good food and great stories. And we deliver creative packaging ideas that have people talking … and buying. I agree with author packaging is very important. Consumer’s look for good packaging food which have some good quotes or lines, even good design works.